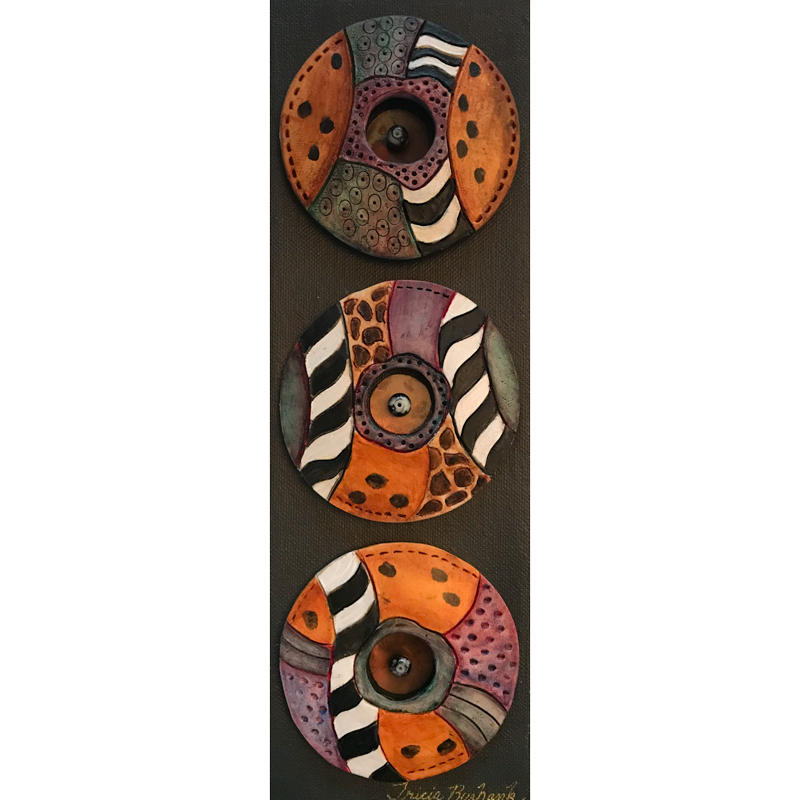 As the name implies, each piece is inspired by things natural…places, animals and things I love. 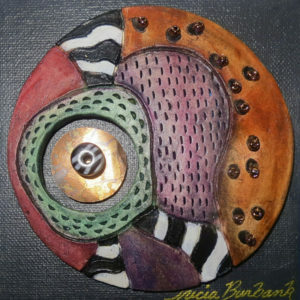 I begin creating with my sketchpad and let the design emerge. 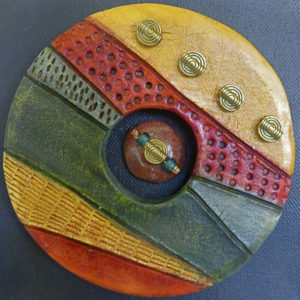 The flow of lines and textures tell me what they will represent…meadows, ocean, forest, lagoons, deserts or cultures. 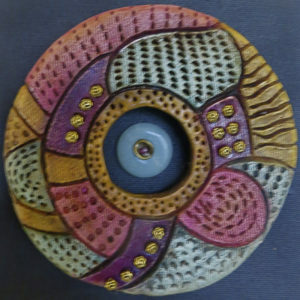 The design is then carved into porcelain clay and fired twice. 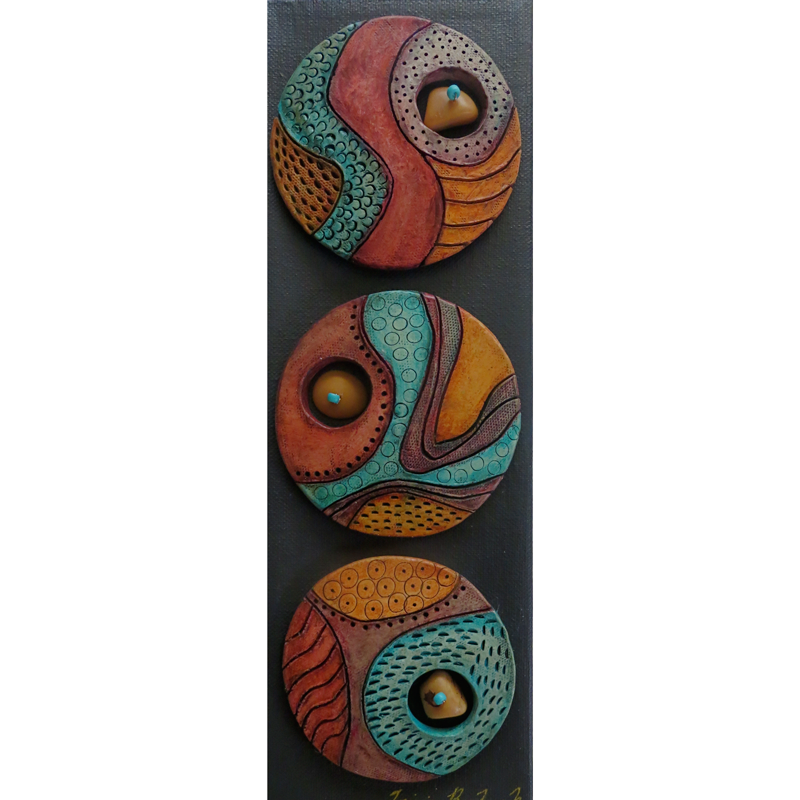 I apply layers of stain to create the translucent colors. 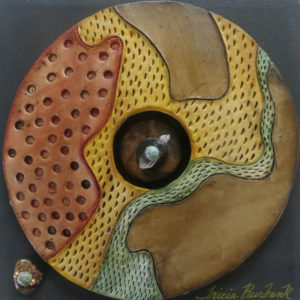 Using treasures from my vast collection, I design a center “jewel” to enhance the natural landscape using shells, beads, stones, bamboo and other fun things. 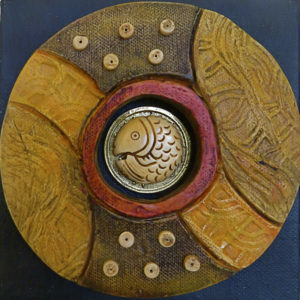 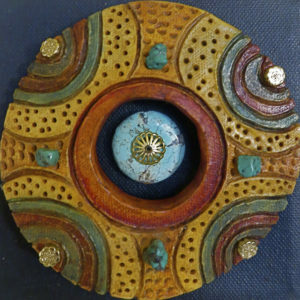 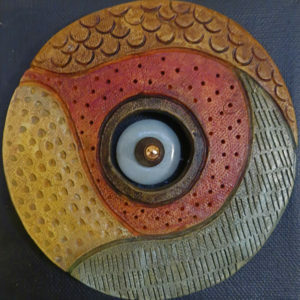 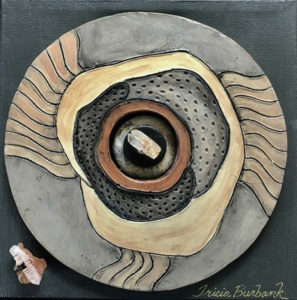 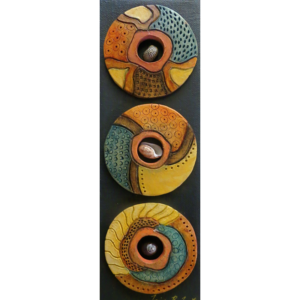 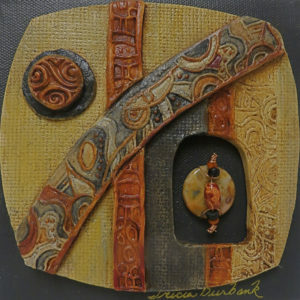 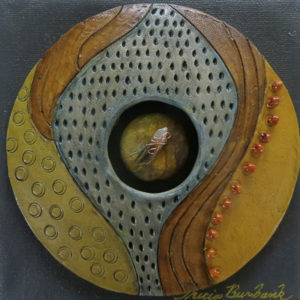 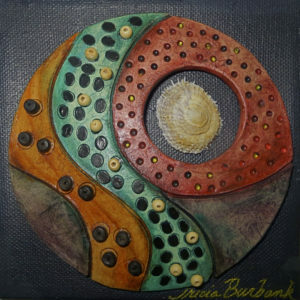 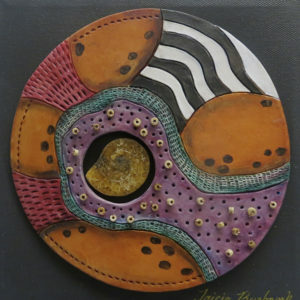 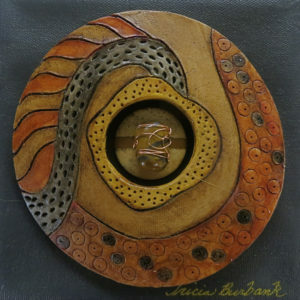 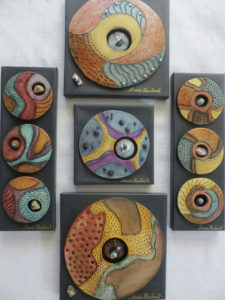 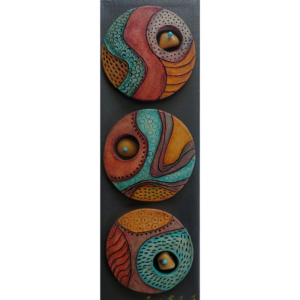 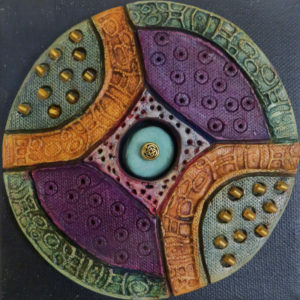 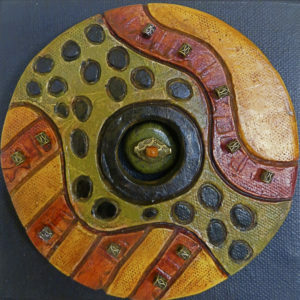 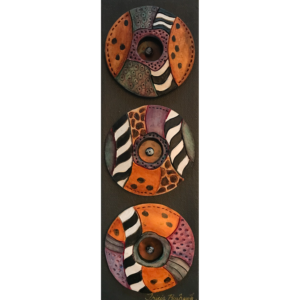 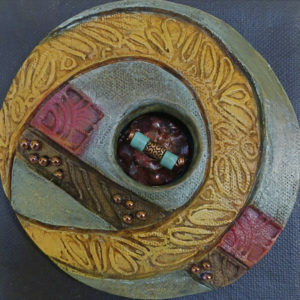 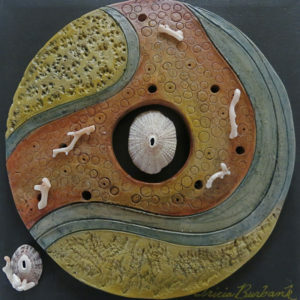 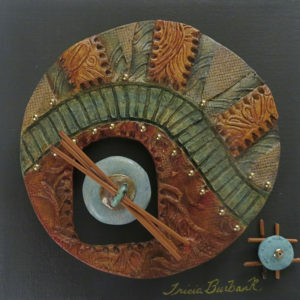 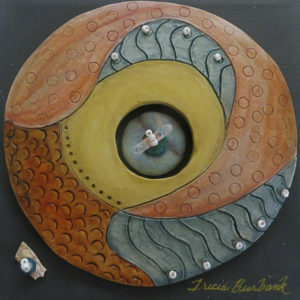 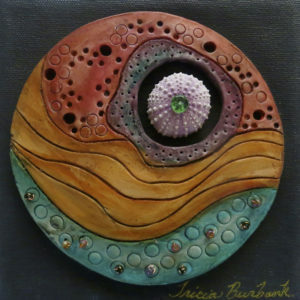 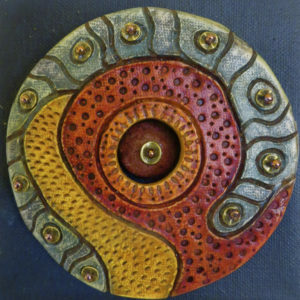 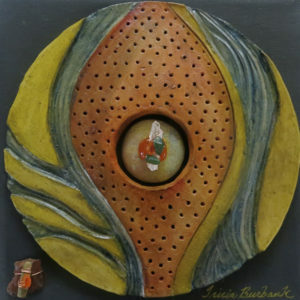 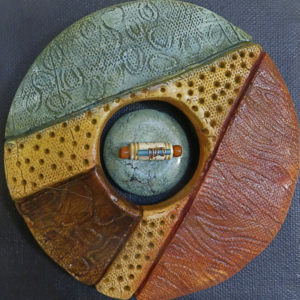 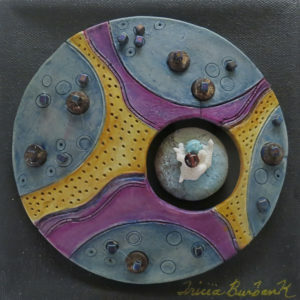 The ceramic piece is mounted on painted canvas with a hanger for wall display or can be showcased on an easel.